As one of Hong Kong’s most prolific artiste, Louis Koo (古天樂) is also known to be generous and respectful towards other elderly artistes. From his announcement to help raise funds for elderly artistes, Louis also supported many other artistes in time of need. 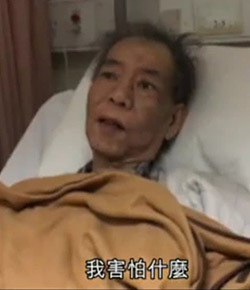 When veteran artiste Lee Siu Kei (李兆基) was admitted to the hospital for liver cancer, Louis did not hesitate to help cover the hospital fees. Although Lee Siu Kei might be an unfamiliar name to many audiences, Lee Siu Kei actually acted in many Hong Kong movies. Lee Siu Kei joined the entertainment industry after prompting from friends to leave his triad gang. 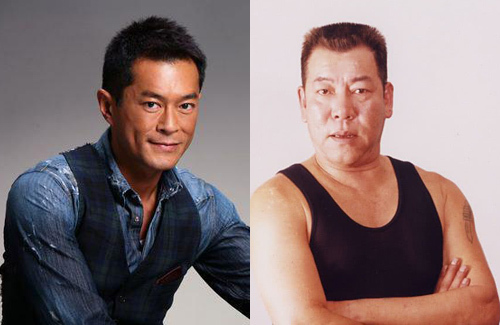 Over the past 40 years, Lee Siu Kei played mostly villain and triad roles in films. In a follow up interview, Lee Siu Kei’s friend , Peter Chan (陈慎芝), thanked Louis. Ever since Lee Siu Kei was in the hospital, Louis took the initiative to collect money for the hospital fees and regularly asked for updates on Lee Siu Kei’s health. Aside from being respectful towards the seniors, Louis is a philanthropist. While attending Ringo Lam’s (林岭东) memorial service on January 26 after the director’s recently passed away, Louis also donated funds to build more than 100 schools in Mainland China. Louis’s generosity and kindness is something to be admired. Stroke a while ago and now cancer. Kei gor has really had tough times in recent years.. He is a good actor. Always the bad guy but he had a few good supporting roles as he got more experience. I am so surprised to see the change. Hope he get better soon.